It should be noted here that the name "SPORTS" (sometimes incorrectly referred to as Sportsman) refering to the first model, was not introduced until the second (Australian) model came about. It was just a EUREKA. The Eureka was introduced in 1974 and was virtually identical to the UK Nova. The roofline was extremely low, with total height of the Eureka Sports around 40 inches. The roof lifted up on gas struts, with catches on the interior to hold the roof down securely while in transit. There was a handle in the rear of the roof that was used to open and close and lock the roof down. 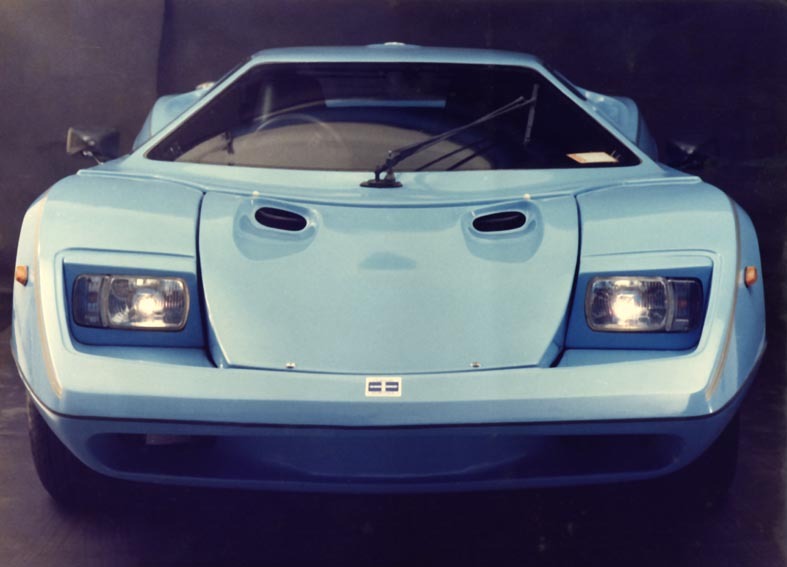 The long bonnet included very distinctive “nostrils” or air intakes. Front headlights were rectangular Ford Capri units while rear lights were from a Thames van. A single wiper covers the large windscreen. 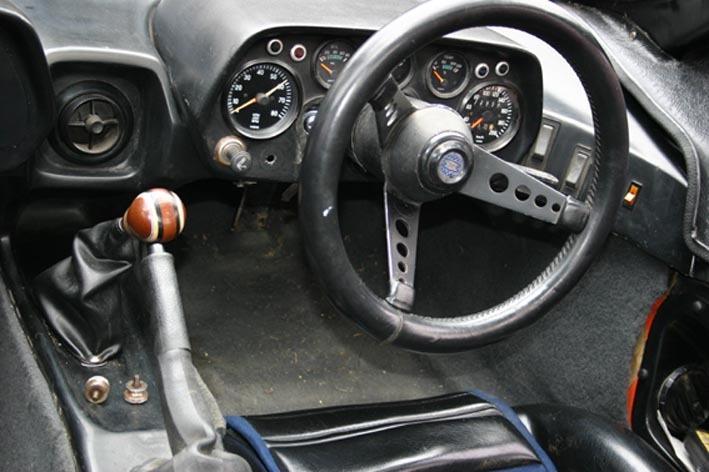 Standard equipment included a fire extinguisher, sports exhaust system, laminated windscreen, full harness seatbelts, mag wheels with radial tyres, and many other items seen only as options on other cars for many years to come. Inside, there was a narrow centre console with a single air vent at the top. The instrument pod contained a speedo and tacho, and a number of other gauges. A second instrument pod was mounted in front of the passenger, and often held the optional radio/cassette player. The VW gearshift came out from the top of the console and the standard VW hand brake and heater controls were between the seats. 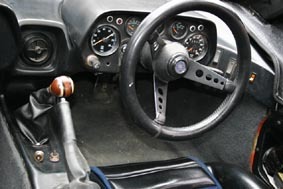 Many owners fitted a remote gearshift and moved the handbrake further back for ergonomic reasons. Sitting in the Eureka Sports is not all that comfortable. The roofline is extremely low and even a medium height person can find themselves banging their head on the roof. On the driver’s side, the situation is not improved by having to fit one’s legs under the steering wheel. Seat rails can be modified and the floor pan can be lowered to make the seating position more comfortable. The rear vision mirror seems uncomfortably close to the driver. Rear vision is quite limited, with only a reasonably small rear window. Electric external mirrors are essential for reasonable rear vision. There are various storage compartments in the cabin, and a reasonable space behind the back seat to stow soft bags, etc. The front under bonnet area is full of battery, spare wheel and enough room left over for a tooth brush. Owners could choose from an impressive list of options including: driving/fog lights; a choice of mag wheels; electric radio antenna; quartz halogen headlights; perspex headlight covers; electric fan and windscreen demister kit; rear louvre; etc. A good range of colours was available. Purchasers had a choice of Eureka kits to select from starting with the Comprehensive Kit, which was basically a totally finished body that only needed to be mounted on your VW chassis, plus the fitting of vent ducting, gauges, steering wheel, etc. There was also a Progressive Kit, which entailed no greater level of owner construction effort, but did not include all the components (eg wheels, tyres, seats, sports exhaust, etc) and was, of course, initially cheaper. The owner could then acquire these parts from Purvis or alternative sources as and when he could afford them. There were various levels of build that the factory would carry out for the new Eureka owner.